Call us today at 614-459-3003 to set up your appointment. You will be able to download and fill out the forms necessary for your first appointment in the “client” folder below. 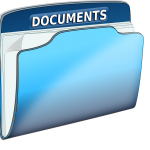 Your counselor or coach will direct you to which documents to fill out and bring with you to your appointment.